The GFFR’s main goal is the welfare of it’s citizens and not the blind acquisition of power. It was founded on the firm principles of Democracy and Autonomy for its members. While it is regrettable that the NJO have chosen to believe false and baseless allegations of corruption, The prime requisite of membership to the GFFR is a willingness to work together. We challenge the NJO or anyone else who have alleged that there is corruption in the GFFR to put forward any proof, reasonable doubt or table any facts before the Congress of the GFFR. If someone comes forward with reasonable cause, the GFFR will investigate and act immediately. We wish the people of Tython well, however if our enemies such as the Seraphin Empire attack us we will defend ourselves as is our right. GNW travel to Saraphin where we spoke with Dark Lord Vaskar Bann, who told GNW he had call to arms to make. He also told GNW that The Elite Battalion will be paid and the amount of payment will be based on the level of skill the individual offers, placement in rankings, as well as their specific duty. Also all credits will be handled accordingly and transfered automatically upon completion of the duties. that he had some training skills he could teach on defense and offensive for non force users but all required to use the saber pike and that he will be provide to them. Dark Lord Vaskar Bann finally remark as we close was, “To all those who seek to join these ranks, Look forward to a long line of possibilities, hard work, and great rewards. 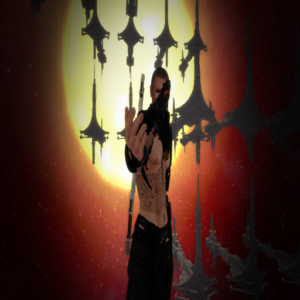 And get the honor of serving under the Seraphin empire.” GNW will keep you up to date on more of the Elite Battalion as it comes. GNW was invited to Devaron. There we spoke with Jedi knight Zibeti Spintrus. Spintrus told us that Devaron was a sanctuary and they had a few refugees from Tython and Geonosis. She said she was not the leader of Devaron but the planet’s liaison between Devaron and the Saraphin Empire. 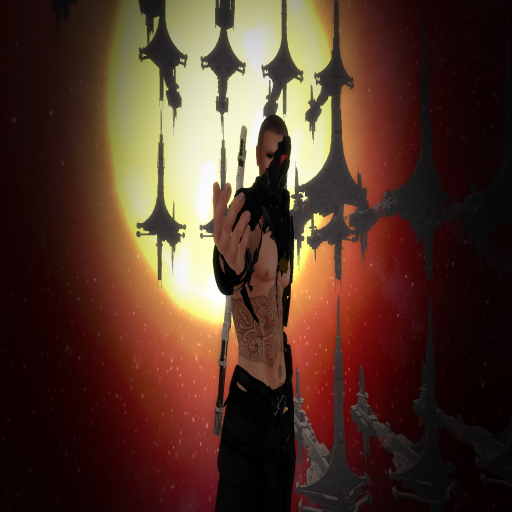 GNW asked the question What does Saraphin empire have do with this planet and the people who come here for sanctuary? she went on to say, ” They offered to help protect the planet and if we are allies we do not risk invasion. We at GNW then asked isn’t it the job of the Jedi to protect the planet from invasion?” How would alliance with Jedi and Sith protect Devaron. Zibeti Sprntrus smiles then said, ” we are few in number and the fact we are so isolated from the rest and no one would invade ones allies and the Jedi won’t move against an enemy unless a plea for help is made so there for an alliance saves us from a risk of invasion.” Zibeti vision for the future of Devaron is peace and balance and free of corruption that plague the republic. Spintrus was speak of Kremonk. Jedi who sold federation out and join the the federation enemies and because of what he done. 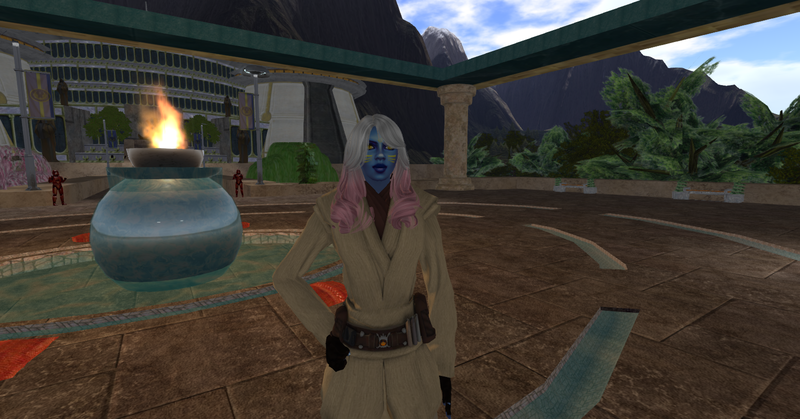 jedi knight Thalia was given up by him and torture by Saraphin Imperium. So GNW did some investigation. By law the GFFR can’t but Kremonk on trial even though he committed treason. This Law is The Aldera Protocol for Jedi and Federation Cooperation. the purpose of this law was created to formalize the relationship between the Federation and the Jedi Orders who are signatories to this arrangement and to provide a legal framework for our cooperation. This means legal status of the jedi order is separate from the laws of the federation. Does that mean that Jedi could break Federation laws and get away with it of course not. Law states that the The Jedi would be governed by the Code of Conduct of their respective Orders and hence have clear autonomy from Federation Law [OOC explanation: the law still applies if the Jedi do not enforce their own code of conduct. The earlier wording of exemption would mean the law does not apply at all ]. If a Jedi contravenes any Federation Law they should be investigated and tried by the Council of their Orders. In the event a group of Jedi or an individual Jedi does not have a Council or if their Council fails to hold a trial within two weeks of an alleged offense, the accused may be tried in a Federation Court. This was told to Jedi knight Zibeti. If a Jedi Kremonk is being put on trial then is not being done by the GFFR. Jedi Knight Zibeti respond was ” it matters not who put them on trial it is the actions of your allies. ” Then the question was asked Is GFFR accountable for what their allies do or should they be accountable for what they do?” Spintrus went on to say, “allies say much about the government they aid ” she shook her head ” but I see this is a conversation that will do nothing but run in circles” Then can one say the same about the alliance Devaron suppose to have alliance with . 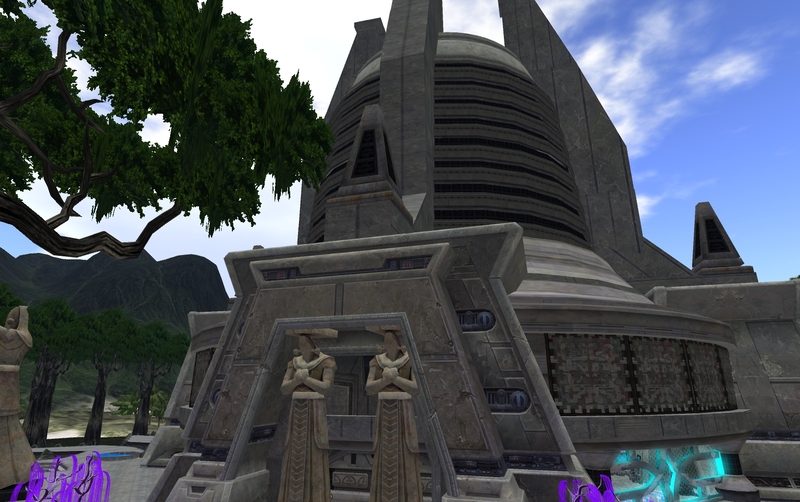 GNW then travel to Tython to continue our Inve stigation on what jedi knight Zibeti claims about Kremonk. 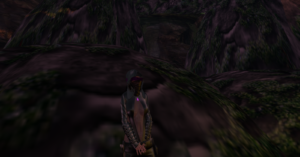 GNW will keep you up to date more information on Jedi Knight Zibeti as they come. 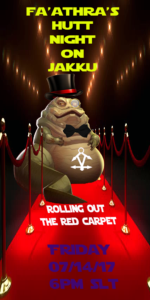 FA’ATHRA’S HUTT NIGHT: ROLLING OUT THE RED CARPET! GNW had the opportunity to travel to Lehon and speak with Darth Toruk of the Shade Regime. Darth Toruk informed us that their old rivals the GRAE ambushed them on Geonosis injuring the Grand General Darcrux and so they returned to Lehon to strengthen ties with their old friends and Sith allies especially the Dark Lord Sinous. 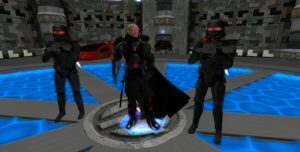 Darth Toruk made it clear that he does not stand alongside the Seraphin Empire despite them having a common enemy in the GFFR. The Shade Regime in particular consider the GRAE and DJE of Dantooine as their enemies. Darth Toruk also confirmed that the rebuilding of Shade Regime was financed by the personal wealth of Grand General Darcrux and their allies. GNW learned that the Shade Regime has developed a new fearsome weapon in the form of a Meditation Sphere, which is powered by a large red kyber crystal. Darth Toruk declined to mention the exact source of this crystal but did confirm that they had obtained some crystals in their mining and excavation activities on Geonosis. 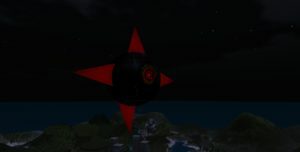 GNW also learned that the Sphere had been tested on some uninhabited moons and planets and even on some stars. Darth Toruk also informed us that he welcomes any troopers that are willing to enlist in the Shade Regime. In closing Darth Toruk told GNW that traitors and enemies would face swift retaliation if they attempted to attack them on Lehon.